MdN8, 25 Mar 2014Come on. Not even people who work for HTC believe that. Do you think that OIS, mechanical shut... moreThe HTC One (M8) audio quality is by far the best we've seen a mobile device produce so far - and that's including tablets. Even its impressive predecessor pales in comparison with the latest HTC flagship, which is not only the loudest around, but also delivers perfectly clean output. The HTC One (M8) did perfectly in the active external amplifier part of the test, posting great scores all over the field. In addition it had volume levels higher than every other mobile device on the market right now. More impressively, there's virtually no degradation when you plug in a pair of headphones. The stereo crosstalk rises so little that it remains better than what some smartphones deliver without headphones. The rest of the readings remain perfect too, while the volume is as high as they come. What do you know - dropping the Beats logo actually led to even more spectacular performance by the HTC flagship. Wooowwww most amazing phone since now..
fantastic Boom sound and call quality,best and clearest ui,most beautiful Design with shining aluminum body..
High performance and amazing camera..
And most important thing is battary life with excellent score..
Sh**t up and take my money htc. AnonD-120062, 25 Mar 2014Stop complaining about camera megapixels!! Its NOT relevant for a good quality image.. More an... moreCome on. Not even people who work for HTC believe that. Do you think that OIS, mechanical shutter, neutral density filter and Xenon are marketing gimmicks too? As expected rubbish camera. Comparing the improvement of one rubbish over another is a silly technicality. End result is still rubbish compared to what is available mainstream let alone flagship class. HTC evolved enough to put a expandable memory on their flagman, but failed miserably to deliver better camera. They are clever enough though, to produce some attractive middle-rangers. Hope that will safe them from their competitors. i rest my case: "The HTC One (M8) audio quality is by far the best we've seen a mobile device produce so far - and that's including tablets. Even its impressive predecessor pales in comparison with the latest HTC flagship, which is not only the loudest around, but also delivers perfectly clean output. More impressively, there's virtually no degradation when you plug in a pair of headphones. The stereo crosstalk rises so little that it remains better than what some smartphones deliver without headphones. The rest of the readings remain perfect too, while the volume is as high as they come. What do you know - dropping the Beats logo actually led to even more spectacular performance by the HTC flagship. " AnonD-120062, 25 Mar 2014Stop complaining about camera megapixels!! Its NOT relevant for a good quality image.. More an... moreOnly the Nexus 5 or One M7 are good choices talking about quality, hardware and software for a low price. Fruitcake, 25 Mar 2014People thought that HTC would learn from the Camera of the First One Model,But they seem to ha... moreStop complaining about camera megapixels!! Its NOT relevant for a good quality image.. More and more megapixels don't have any adventage on a phone and its just a Gimmick things. Only matter the Quality of that pixeles, do you see the superb photos in the review???.. The best phone today overall by far. The rest are pure crap and marketing things. Photo quality comparison tool please ? What would you prefer right now? 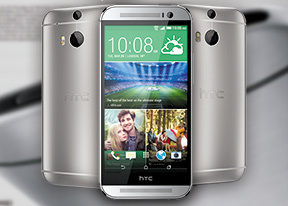 The HTC M8 or the LG G2. I'm going to buy any of them this week and I would appreciate your opinion. Gibby, 25 Mar 2014Never mind the trolling. Can someone please provide a list of features this phone is capable ... moreBigger bezels, 4 MP (forgive me, UltraPixel) dual camera, lesser battery. Isn't that enough?? The 2013 HTC One seems to have a certain advantage over the M8 like OIS, Beats Audio, similar battery life, still quite a looker, same 4UP etc. Other than those, HTC One M8 is awesome! Like 5MP selfie camera, louder audio, more fancy camera features. Alex, 25 Mar 2014Next year we will probably see the new One with 2 GIANTpixel tech instead of 4 Ultrapixel :) s... moreLol! Stuff the gorgeous metal unibody. I can't stand the big bezels above and below the screen. I don't need a defence weapon in my pocket. Only the lack of SD card slot is the problem of LG G2. That was fast GSMArena......a full blown review at the day of announcement..... Keep it coming!! !